Bioplastic: definition, advantages and disadvantages, types of bioplastic and applications. Objects made with bioplastic, how bioplastic is made and analysis of the pros and cons. Bioplastic, according to the definition given by European Bioplastics, is a type of plastic derived from primary renewable materials such as corn starch, wheat, milk, and tapioca. For those who are looking for a more technical definition, we can say that bioplastic is a polymer from biological origins derived from biomass or produced starting from organic monomers. Bioplastic is in contrast to plastics derived from fossil resources. Biolastic has the ability to decompose within a few months, while traditional plastic requires millennia to degrade. Sometimes the term bioplastic can lead one astray. 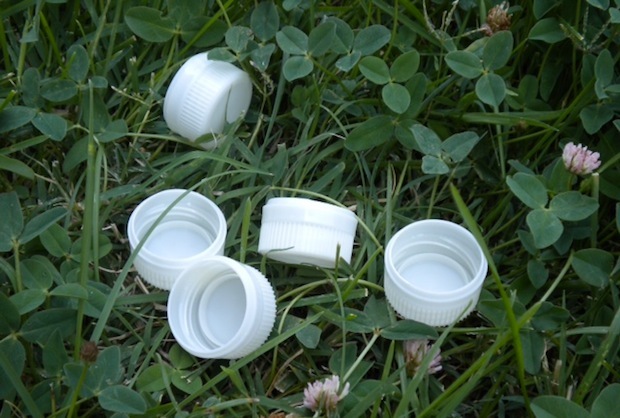 Not all bioplastics are necessarily respectful to the environment. 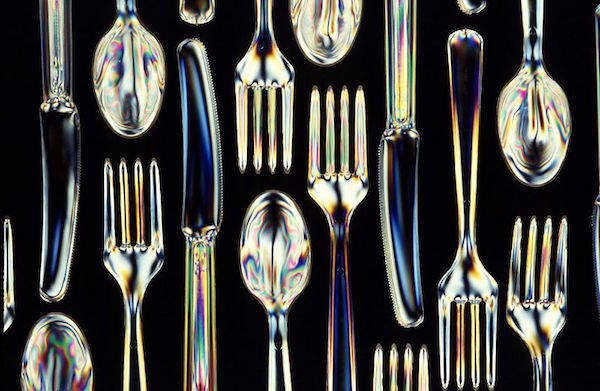 There are some bioplastics that, in the environmental balance, do not exhibit very many advantages over traditional plastics. Everything depends on the type of organic polymer used, on its origin, and on the type of production required. On supermarket shelves, the so-called “Bio Bottles” are widespread. They are a type of bottle made from biodegradable plastic. Food that comes in contact with plastic from petroleum sources can end up being contaminated. Beverages, in particular, with the passing of time, absorb toxic substances from packaging materials. To get an idea of the impact of this phenomenon, just think that for mineral water contained in PET plastic bottles, the expiration date is not so much for the beverage itself, but for the plastic packaging. Food packaging and also water bottles, diapers, phone cases, textiles, soles for shoes, everyday items such as belts, bottles, watches, pens, glasses, straws, plates, and single-use plates. Any object made with the current synthetic plastic can be reproduced using bioplastic, which generally respects the environment more by consuming less energy during production, and is surely more sustainable when thinking about disposal. The bioplastics industry is in constant expansion. Its premise is that all objects that can be produced with conventional plastic can be reproduced using bioplastic. Innovative cross-linkable and expandable polymers have been developed that allow the production of superlight objects with outstanding physical and mechanical characteristics; these organic polymers (bioplastics) could be widely used for the production of sporting shoes. The content of organic material in a bioplastic can vary in terms of percentage. Sometimes, a petroleum-based product can be mixed with renewable raw materials. For example in the Bioplastic Apilon 52 Bio, produced by the Italian company Apinat, the content of primary renewable materials is up to 70% and it offers the same characteristics and quality as traditional TPU derived from completely synthetic materials. The production of bioplastic from exclusively renewable resources represents a contribution to climate protection, since the greenhouse gases, in particular carbon dioxide, are reduced compared to using synthetic raw materials. As we saw in the initial definition, with the term bioplastic we identify an immense family of biological polymers. It follows, then, that we are talking about a disparate number of organic materials. Such materials, although from organic derivation, are not always friends of the environment. In this paragraph we will list the various types of bioplastic. Since we are talking about a sector that is constantly expanding, no list can be considered complete! Starch-based bioplastic is so simple that it can even be produced at home. Starch-based bioplastic is often mixed with biodegradable polyester for the production of Ecoflex, polycaprolactone and other biodegradable mixtures. Produced with cellulose esters including cellulose acetate and nitrocellulose. It can be made also with cellulose derivatives, including the celluloid compounds, considered the best thermoplastic materials. Wheat gluten, casein, and other protein sources can give life to renewably-derived plastic materials. Polyethylene can be produced starting from fossil fuels, and also from the alcoholic fermentation of raw agricultural materials such as sugar cane or corn. The Brazilian chemical group Braskem claims to have developed a true plastic (polyethylene) starting from bacterial fermentation of sugarcane that, among other things, could be used to capture carbon dioxide from the atmosphere. There is a type of genetically modified corn that is well suited for the production of biodegradable plastic. We are talking about a very new field: none of the first generation bioplastics requires the cultivation of genetically modified organisms. The advantages linked to the use of bioplastics are many, but there is still an environmental debate. The debate is very complicated and it is not possible to generalize: there are many types of bioplastic and it’s not possible to treat them all in the same way. Let’s not forget that petroleum is necessary to fuel agricultural machines, and to produce fertilizers and pesticides for the production and transport of raw organic materials used for the production of bioplastics!